Tesla Weapons Pack This is what this mod is patching. All assets belong to Quicksilver500. All I am doing here is fixing some things. Quicksilver500 for making this amazing mod. Rikako for helping me fix the texture pathings. At this time there are sadly two major issues with the Tesla Weapon's Pack by Quicksilver. The most glaring one is the fact that the Tesla Shotgun, which is an awesome weapon and fun to use, is rendered unusable due to the fact that the shells are missing their mesh and shoot out big giant red exclamation points. This should fix that. Second is that the Tesla Rifle, another fun and pleasing weapon, was lacking proper pathing to use its textures, making the gun look weird and unpleasant to look at. 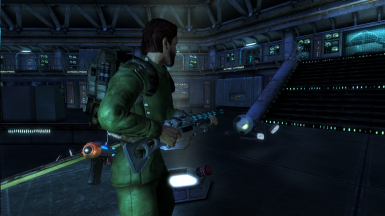 I believe these two things made people less into what is in my opinion one of the greatest weapon mods ever put into New Vegas.